I'm a big fan of the Sunnybank collies and Albert Payson Terhune, and I wanted to share this little memorie of me. It was in 2002, I think it was dogshow Zwolle, Lady had just been awarded with a very promising 1 and I was over the moon. On that day I wanted to treat myself, and in the stand with old dogbooks I found Lad a dog, by Albert Payson Terhune. 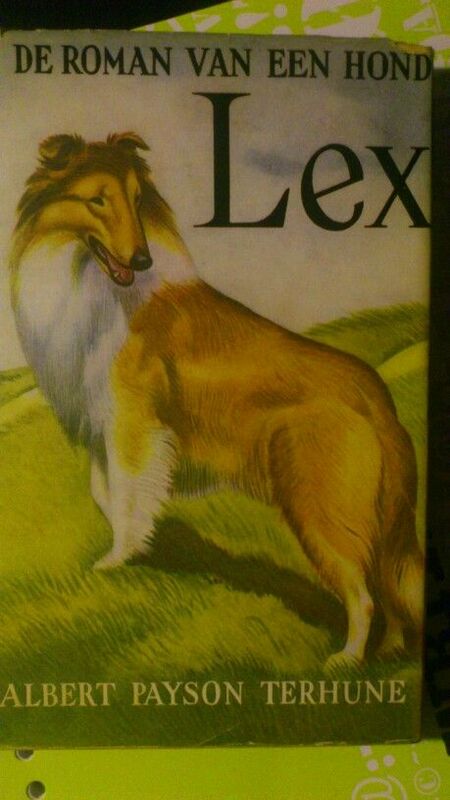 There was a collie on the cover of the book, so I had to have it. I read it a few times, and really loved it, but then it landed in the bookcloset. Years later I got a subscription to Collie Expressions magazine and there was an article in it, about Albert Payson Terhune! I knew I saw that name before, so it was right into the bookcloset, there it was Lad a dog, that book was written by the person of that article. Ofcourse I wanted to know more and I ordered the book about the Sunnybank collies by Kristina T Marshall, called Forever Friends. From that book I learned that most of the collies from the USA are to be traced back to Sunnybank. So are the current collies we own, they can all be traced back to Treve. My interest got more and more, and as time went on I learned more about the Master the Mistress and the place. And now my collection is growing steadily. This is how my Sunnybank addiction started. And there will be way more to come. 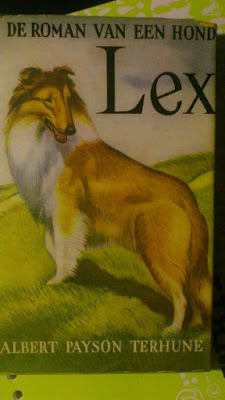 it is translated as "de roman van een hond Lex"
but it's real title is Lad a dog.